Robichon’s SV Kids Skate Camps are the first in the world for inline skates. 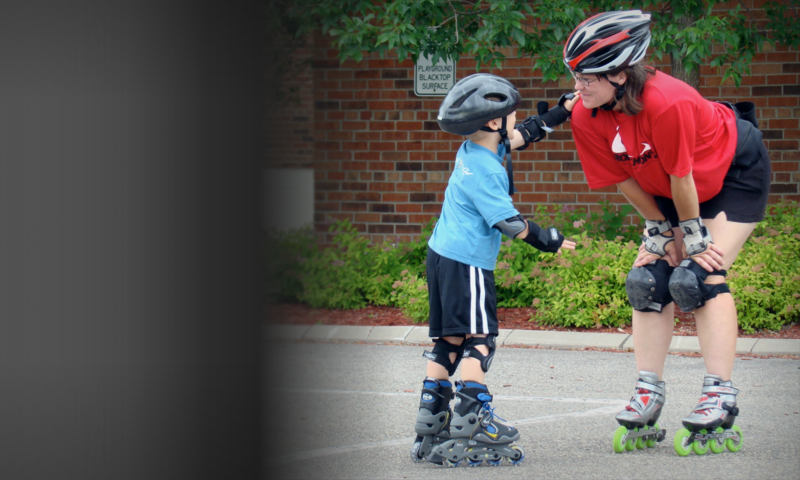 Approaching its 26th anniversary of running week long kids skate camps across MN, we get your kids learning how to inline skate on the basketball court and local trails. Our kids skate camps are appropriate for ages six years of age and older, including kids who are brand new beginners, advanced beginners and intermediates. We recommend our advanced skaters specialize in sport specific courses; such as: speed, street/ramp, freestyle, roller hockey and/or skate trips but we can take advanced skaters in our camps. Skate camp runs from 12:30 PM to 3:30 PM, Saturday and Sunday. June 15 and 16, 2019.